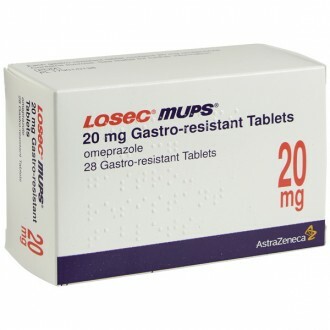 Lansoprazole capsules provide relief from acid reflux, heartburn, and stomach ulcers. Lansoprazole eases these recurrent symptoms by inhibiting the production of acid in the stomach. The capsules are available in strengths of 15mg or 30mg. Lansoprazole is the unbranded version of Zoton. Stomach acids are important for the digestive process. They break down food prior to it reaching the intestines. Usually, the oesophagus is guarded against these acids by the oesophageal sphincter. This sphincter is comprised of a group of muscles that form a one-way barrier; allowing food to enter the stomach, but preventing acids from leaving. However, sometimes, this sphincter can weaken, which allows stomach acid to pass through this barrier and enter the oesophagus. This is acid reflux. Heartburn is a consequence of acid reflux, caused by acid ‘burning, the tissues of the oesophagus. Despite its name, heartburn has nothing to do with the heart. It gets its name purely because the burning sensation is felt in the chest. Many of us will experience the occasional bout of heartburn. However, some sufferers can experience these symptoms very frequently – this will likely be due to gastro-oesophageal reflux disease (GORD). 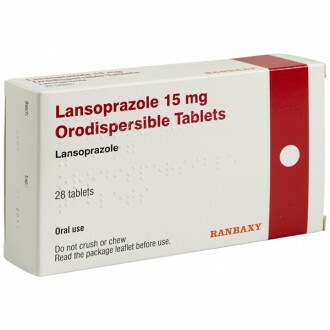 Lansoprazole is a prescription-only-medicine for GORD and other related conditions, such as stomach ulcers and an inflamed oesophagus. Lansoprazole works by inhibiting the activity of proton pumps (proteins that produce acids in the stomach). 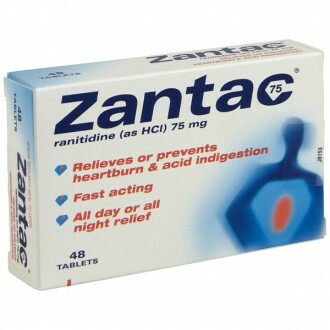 This decreases the levels of acid in the stomach, relieving the associated symptoms of acid reflux. 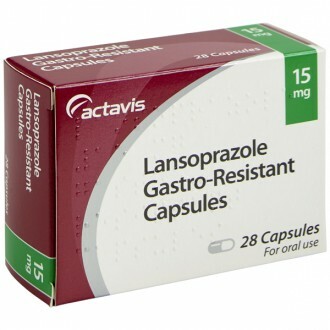 Antacids, such as Gaviscon and Peptac can reduce the effectiveness of Lansoprazole, so they should not be taken within an hour of each other. GORD is a fairly common infliction, affecting roughly 20% of people. Anyone can suffer from GORD, though it tends to be more common in men over forty. As well as heartburn, acid reflux can leave a very unpleasant taste, should the acid reach the mouth. These symptoms will likely to more pronounced if you are lying down. It is recommended to avoid lying down horizontally after eating, also, consider sleeping on an incline. Obesity is the main cause of GORD. This is due to excess fat adding strain to organs, such as the stomach. The increased pressure forces the stomach acid out past the weakened sphincter and into the oesophagus. Large meals that fill the stomach have a similar effect, so consider eating smaller portions that don’t leave you feeling full and bloated. Along with fatty foods, try to avoid foods that are acidic or spicy. For example; onions and chillies. As well as certain food, carbonated and caffeinated drinks should also be avoided, as these too can also lead to heartburn. Studies have proven that alcohol and nicotine can weaken the muscles of the oesophageal sphincter. There are also several medications that can potentially interfere with digestion in ways that may increase the risk of GORD. If you believe medicine you are taking may be causing your GORD symptoms, we advise you discuss this with your GP. Antacids are to be taken as required. Antacids are alkali liquids or tablets that are designed to neutralise the stomach acid. A dose can often give quick relief. There are many brands, which are available to buy over the counter. If you suffer with mild or infrequent bouts of dyspepsia you may find that antacids used as required are all that you require. 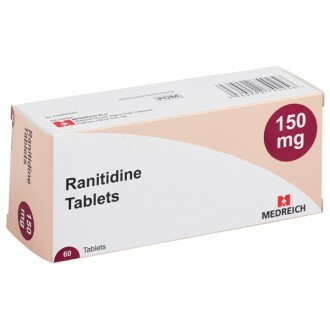 Lansoprazole comes in 15mg or 30mg capsules. Generally, you will take one per day – ensure that you follow your prescription exactly, as your recommended dose may vary depending on your condition and its severity. Swallow the capsule whole with a sip of water. It is important that you do not crush or chew the capsule. Lansoprazole should be taken at least 30 minutes before eating. If, for any reason, you forget to take a capsule, take it as soon as possible. However, if it is nearly time for your next capsule, skip the dose that you missed. Never double your dose to compensate for a dose that you have missed. Lansoprazole capsules are unsuitable for you if you are allergic to any of its ingredients, or are taking any HIV medicines that contain nelfinavir. Inform your doctor if you have ever had a reaction to other proton pump inhibitors, if you have any liver problems, or if you have osteoporosis. Talk to your doctor if you have phenylketonuria, as Lansoprazole dispersible tablets do contain aspartame. Need to know more about Acid Reflux & Heartburn? How do I buy generic Lansoprazole capsules online? You will need to fill in a simple health questionnaire so that our GPs and Pharmacists can ensure it is safe for us to supply your Lansoprazole capsules to you. It only takes a few minutes, and your treatment can be delivered to your door as soon as the next working day. Is it safe to buy Lansoprazole capsules online? Yes – as long as you are buying from a website that is a legally operating and regulated pharmacy, it is perfectly safe to buy Lansoprazole capsules online. What are the advantages of buying Lansoprazole capsules online? 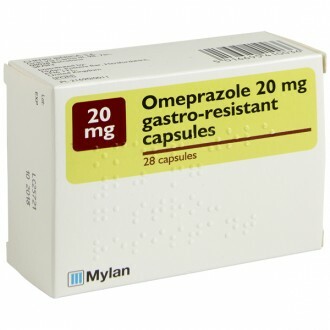 A wealth of information - we provide all the information you could need on Lansoprazole capsules and other acid reflux treatments, in easy to digest formats, at a time that suits you.